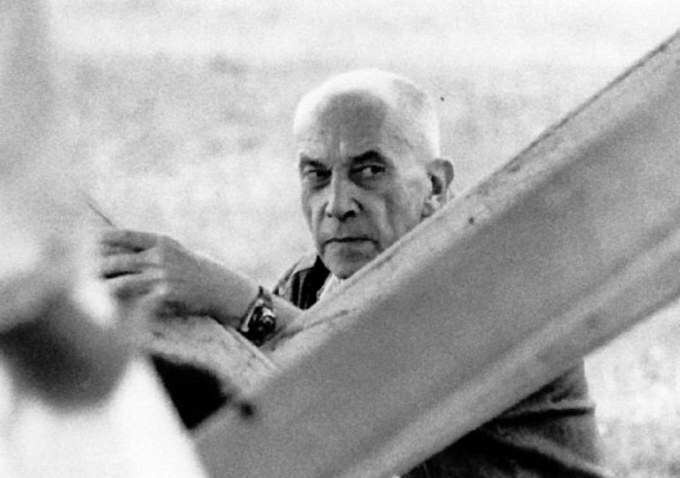 As many others this morning, I was saddened to learn of the passing of Chris Marker. He was such a notoriously private man, so playfully elusive, he loomed so large in my mind, that I was shocked to see a photograph of him in the newspaper. 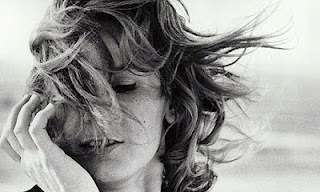 Could it be that Chris Marker was a mere mortal? In all the years that I had followed his work (from Sans Soleil to The Koumiko Mystery and beyond), how could I have gathered so little biographical information about him? (What I “knew” before today: He worked with Alain Resnais on Night and Fog. He named himself after a magic marker.) Now I have a bit more data (thanks to the obituaries) but none of it changes the essentials: Marker was a brilliant shapeshifter, an artistic visionary, a true anticolonial globalist. Throughout my twenties, he was very important to me. I rushed to see his films whenever they were screened (too seldomly) at Cinemateque. I even used his work as a litmus test for potential boyfriends. I will forever hold him in my pantheon of inspirations and mavericks. Chris Marker may have been a mere mortal but he was one that aggrandized my notions of what it means to be a creative and empathetic person. 1. Art that is ostensibly about one thing (i.e. African art) but really about another (i.e. French colonialism). See—Statues Also Die. 4. Any artist who knows that digression and free association are not simply formal strategies but are ultimately ways of reaching beyond the known and sanctified to the mysterious and marginalized. 5. The moment in The Koumiko Mystery when Chris Marker (in Tokyo for the ’64 Olympics) settles his camera on a face in the stadium crowd, that of a young Japanese woman named Koumiko. 7. Any filmmaker who is admiring and grateful enough to create paeans to peer filmmakers. See—A.K. : Akira Kurosawa and One Day in the Life of Andrei Arsenevitch: Andrei Tarkovsky. Many years ago, I worked in an arthouse cinema as a popcorn girl and one of the perks of the job were the free movies I was allowed to watch. One film I remember watching again and again was a beautiful biography of James Baldwin called The Price of the Ticket. According to the film, Baldwin was known to write late into the night, and often in the midst of boozy socializing. One evening, Baldwin’s lover sauntered into his study just as Baldwin was typing “THE END” (to Another Country). Just imagine: six letters to cap off HUNDREDS of pages and YEARS of work. Was there fanfare? Did Baldwin run victory laps around the room? Apparently not. Baldwin simply added the final page to his pile and when he was satisfied, he stood up and rejoined the party. When I heard this story, I thought: I’d like to be like that. I’d like my work to unfold without fuss, to exist amid the flow of the world. I would like to be a relaxed but firm finisher. 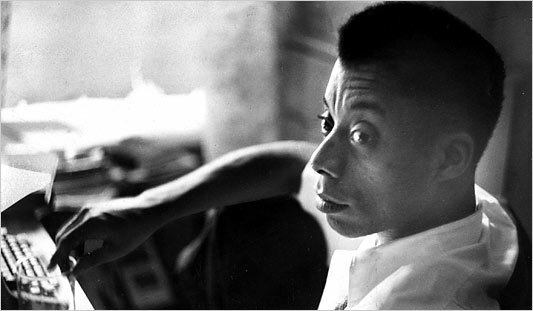 I was recently reminded of Baldwin when I saw this video. For more thoughts on endings, see here and here. I love collaboration. Collaboration is a window flung open to the skies. It’s a bulwark against stasis, a kind surrender to the unexpected. No matter how much I may enjoy working alone (toiling away in my dingy garret), collaboration reminds me to keep the windows open and let the light and air through. No one thrives in solitary confinement. My creative introverted brain is always replenished by outside visitors. As a picture book writer, I have come to await that moment when I must relinquish my story. I have come to await it not as someone anticipating the end of something but as someone rushing towards the beginning. Here is something I have discovered. A good collaborator will decorate your ideas and prettify your pages. A great collaborator will take your unfinished notions and put them through a process of enhancement and enchantment so astonishing that, by the end, they’ll have whisked you off to an even-better invented world. I count my lucky stars that I have been blessed with great collaborators. Both Isabelle Arsenault and Matte Stephens make art that balances sophistication with playfulness, and cleverness with heart. Matte’s particular approach is to take familiar objects and people, and re-arrange them in surreal and delightful ways that are not obvious at all. Isabelle, widely celebrated for her beautiful depth of detail, has a terrific knack for using white space, a lot of white space, active white space. She has taught me that the best illustrations give room for, rather than confine, the imagination of the reader. Isabelle and I have done two books together. In both instances, I have watched her move from initial sketches and mood boards to finished art. I have seen her go and live inside a story, exploring the emotional intricacies of a scene with a focus that might make some wonder if she was applying the Stanislavsky Method to illustration. Her intuition astounds me. She often seems more attentive to the inner workings of my stories than I am. Here’s an example. There is a revelatory moment at the end of Virginia Wolf where Virginia is transformed from a wolf back into a girl. Isabelle used a clever visual trick involving silhouetted wolf ears and a large bow. Let me just say that I did not write or foresee this transition at all. Isabelle found it inside the story and, happily for everyone, it has become the crowning touch of the whole book. This is the kind of out-of-the-blue magic that happens when you collaborate: you hand your collaborator a cube and they give you a dodecahedron in return. When you loosen your hold on a work, a communal form of talent takes over. There is room for anything to happen. Reprinted from Uppercase Magazine, issue 14. Order it now to get a heartful serving of work and words by über-illustrators Matte Stephens, Isabelle Arsenault, Agata Dudek, Jon Klassen, Oliver Jeffers and more! For years I grew up watching my stoic, practical father—a reporter of steely nerves—lapse into spontaneous moments of sentimentality over felines. How cats came to occupy this special place in my father’s heart only became clear much later, when I learned that as a child of four he was placed in foster care. On his first day, terrified by his situation, he hid in an outhouse, vowing to stay inside “forever”—oh the steely will of young children!—only to be distracted moments later from his oath by a curious meowing and scratching at the door. When he shared this memory with me—a memory that included a vivid description of the black cat he befriended that day—it flew in the face of the image I held of my father as somehow having bypassed childhood, having entered the world as a fully-formed adult. It also explained the heightened affection I had watched him show towards every cat he ever met. Many of us have cats (and/or dogs) in our lives. They mince or scamper around our homes. They watch and witness, and soften us if we let them. They bring out the silly and playful when life piles on top of us. They calm our nerves when we are fretful and structure our days when we are at loose ends. Shaggy Muses by Maureen Adams explores the role dogs played in the lives of five famous women authors “whose lives were more difficult than we would ever have imagined.” From Emily Dickinson to Virginia Woolf, Adams goes so far as to suggest that English literature would be considerably bereft without the supporting presence of these furry companions. Like several of the writers featured in Shaggy Muses, my father has never been a fan of humans, whom he generally considers a source of supreme disillusionment. (Nothing like being a war reporter to put you in touch with the baser and unwise sides of human nature.) Given the choice, my father will always side with animals—his annual donations to animal causes being one expression of his preference, the plethora of cat-themed cards in our family being another. And why not root for them? As far as I know, no cat has ever been guilty of screwing up the world. My father’s extreme kitty-love, his utter mushiness in the face of random alley cats, may be odd but it reminds me that it’s in our nature to be vulnerable. We all have a soft spot, apparent to us or not. Among Buddhists, the soft spot is seen as both a wound that has never fully healed and a breach in our emotional armour, a natural opening in the barriers we create when we’re fearful or defensive. I think a soft spot is what makes a person love-able, as in “able to love.” I would never underestimate anything that could bring a scared child to open a door, or that could make a grown man be bravely and demonstratively feeling.